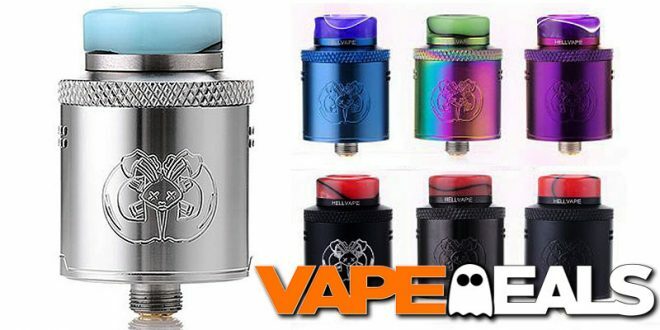 Still haven’t picked up a Hellvape Drop Dead RDA? Maybe this deal will help you out. Efun is currently selling it for $35…which ain’t much to get excited about. But, the price automatically drops down to only $19.99 when you log into your account. Much better! They have 10 different colorways available (see below). It’s also worth mentioning that they’re throwing in FREE shipping on orders over $39 (ends 11/2). So, you may want to add a few more items to your cart so you can take advantage of that offer too. Shouldn’t be too difficult—they have some amazing deals up for grabs right now, especially in their Promotions/Clearance section.